Copper is a mineral that may be found in the Earth’s crust. It is a malleable metal that has significantly high thermal and electrical conduction properties. Pure copper is soft and ductile and a newly exposed surface has as pink or peachy color to some extent. Copper is utilized as an electrical conductor, thermal conductor, and as a component of various alloys. All higher animal and plant life need copper as an indispensable trace nutrient. In humans and animals it is found in bones and tissues with concentrations in the muscle, liver, and bones. Reserves of copper are still sizeable but will not be able to withstand present rates of consumption. In 2000 up to the present high demand in relation to supply has caused prices to rise sharply. The prices of scrap copper differ depending on the type of scrap. Die cast parts are the most wanted and usually most expensive type. The dark side of copper recycling is the swelling amount of thefts and vandalism of air conditioners, tubing and conduits for newfangled homes and construction sites. An awareness of the value of castoff industrial and automotive scrap can inspire individuals and organizations to an upsurge in recycling activities. These recycling activities will not only be economically feasible but will be an enormous factor in maintaining the environment. Recovered, reprocessed, and recycled metals can save a great deal of money in industrial and automotive manufacturing and will go a long way in the conservation of non-renewable resources. 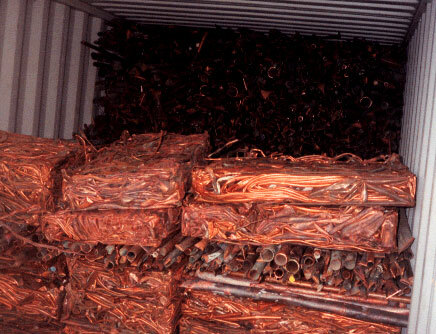 There are several reasons why it is desired to recycle copper. These are a few of them. Recycled copper is worth up to 90% of the cost of the original copper. It is also more economical to recycle copper than it is to mine and extract new copper. Recycling aids in keeping the cost of copper products down. Up to the present only about 12 to 13% of known deposits have been mined and used but copper is a non-renewable resource and all the mineral deposits can be used up. It makes a lot of sense to sustain existing resources. Recycling one ton of copper saves 15% of the energy used in extracting and manufacturing the same amount of virgin copper. Less energy used connotes a saving in fossil fuels that are non-renewable as well. Less energy used also implies less emission of greenhouse gases into the environment. Scrap Metal Sydney offers copper recycling services at the best scrap copper prices. Call us on 02 9707 2955 or visit our website at ScrapMetalSydney.com for more details.